During 1973, a small group of Christian parents came together in Darwin, NT. They held a shared desire their children should attend a school that supported their belief that all activity in this world should be a response to God’s love for all people shown through Jesus’ voluntary death the cross. They talked about establishing a christian school that would recognise parent’s responsibility for their children and work in partnership with them. In 1976 a public meeting was held to determine interest in the establishment of a school where education would be grounded in biblical principle and of the highest quality. There was strong support from Christian parents. An interim committee of nine people was formed in April 1977. The committee was charged with the provision of land and classrooms and also with how this education might be distinctly Christian. 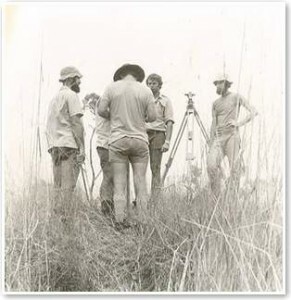 By October 1977 the Darwin Christian Schools Association was formally incorporated with 34 members and the first board of directors was elected. Through God’s provision the first Christian school in the Northern Territory opened less than eighteen months after the association began. In February 1979, the Association opened Marrara Christian School with two primary classes operating in Tracey Village. In 1980 the school moved to its own site in Sanderson, now called Marrara, operating initially in refurbished demountable buildings. Secondary education at Marrara Christian School began with the first Year 8 class in the same year. The association always had a vision to operate more than one school. With Araluen Christian School in Alice Springs coming on board, the time was right for a name change to enable the association to embrace and serve the whole of the Territory. In 1991 the Darwin Christian Schools Association became the Northern Territory Christian Schools Association. In a significant strategic development in 1995, the association formed a school system under Commonwealth government legislation and remains recognised as a system by all tiers of government to this day. There had been Indigenous students in NT Christian schools from the outset. During 1997, the learning needs of some students from remote communities were recognised in the establishment of the Indigenous Learning Centre at Marrara Christian School. There was (and still is) an emphasis on literacy and numeracy for these students together with other life skills. The centre is now wholly integrated into the school community. 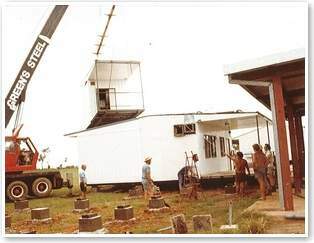 The Association has had a long-standing commitment to working alongside indigenous families and communities who desire a Christian education for their children, as evidenced through the Family Group Home program at Marrara Christian College and the planning, establishment and development of indigenous schools at Woolaning Homeland Christian College (Litchfield National Park), Gäwa Christian School (Elcho Island) and Mäpuru Christian School (NE Arnhem). On 1st of January 2013 the Northern Territory Christian Schools Association made the transition to a Public Company Limited by Guarantee with a new constitution and a new name: NT Christian Schools Ltd. While the mission and vision of the organisation remained the same, this transition provided greater flexibility in governance and set us up to continue to provide Christian education, training and care in diverse educational communities well into the future. Parents still retain an important role in the governance of the schools through membership of the company and representation in many processes in the company.